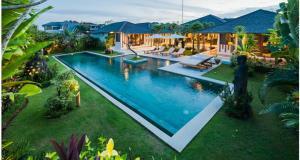 A private pool and a large landscaped garden characterise Villa Des Sens Bali. 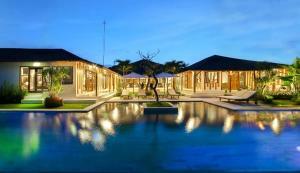 A 10-minute drive from Ku De Ta Beach Club, it offers free Wi-Fi access and free return airport transfers. In-villa massages are provided upon request. Villa Des Sens Bali is a 30-minute drive from Echo Beach surf break, while Tanah Lot Temple and Nirwana Golf Course are both a 40-minute drive away. 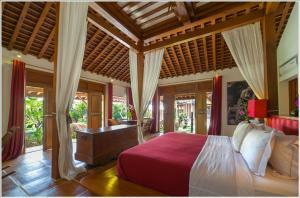 The stylish villa is tastefully appointed with a fully equipped kitchen, dining area and ample living space with thatched roofs. 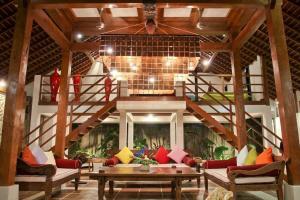 Car rental and tour arrangements are offered for those who wish to explore Bali. Breakfast is served in the villa every morning. Other meals can also be ordered through room service at an additional charge and upon advance reservation.